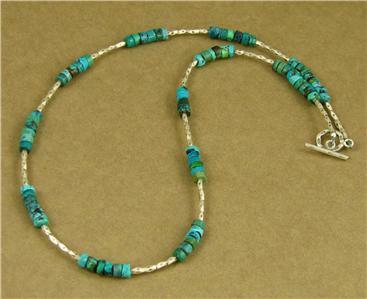 Home › Necklaces › Turquoise and silver necklace. Fine silver. Designer handmade. 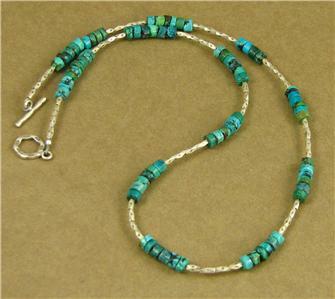 Turquoise and silver necklace. Fine silver. 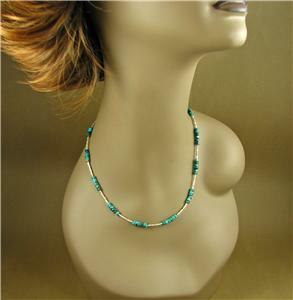 Designer handmade. 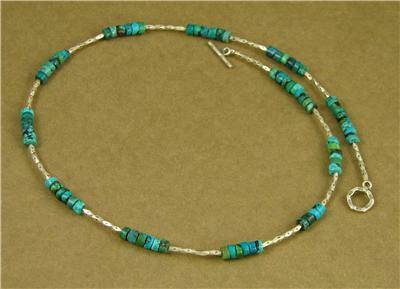 This is a lovely turquoise and silver necklace. 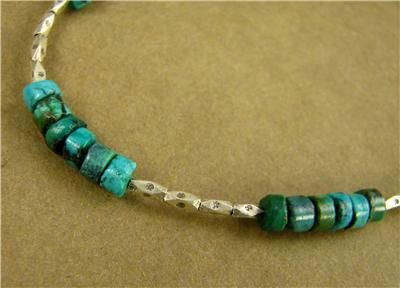 The stones are tibetan turquoise which has a lovely green/blue colour. 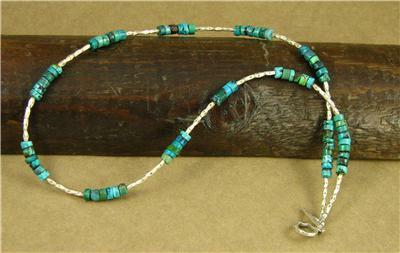 All the silver beads between the turquoise are extremely pure fine silver -98%.